In 1816, the Church in France, suffering the effects of the French Revolution was in need of revival. Responding to this need, Fr. Eugene de Mazenod called together a group of priests whose main purpose would be to preach the Gospel to the poor working people of southern France. Other priests, drawn by the work of these men, soon joined the group and in 1826 they received papal approval as a Religious Congregation under the patronage of Mary Immaculate. Fr Eugene de Mazenod eventually became the Bishop of Marseilles, and he began to send his missionaries overseas to proclaim the Gospel to the world's farthest ends. At his death in 1861, 400 Oblates were working in Europe, Asia, Africa and America. Today, over 3,500 Oblate priests and brothers work in 67 countries, on every continent. 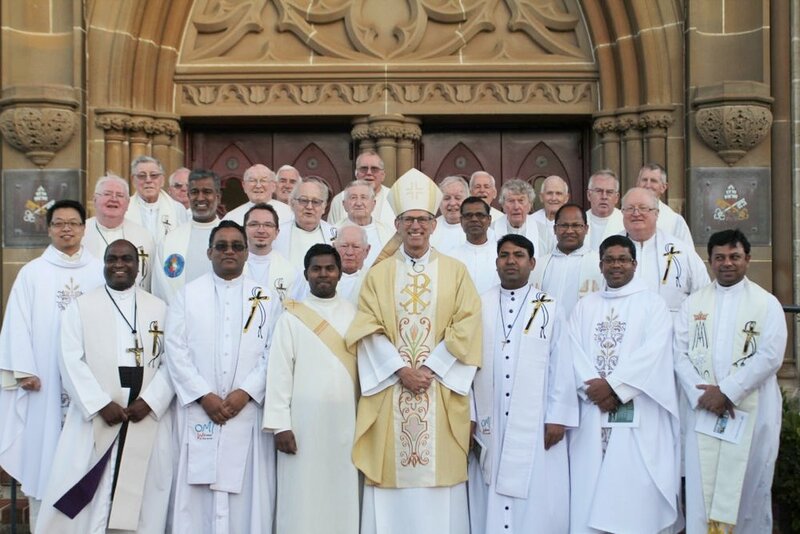 From the moment the Oblates arrived in Fremantle in 1894, they have dedicated themselves to the mission of the Church in Australia. They dedicate themselves to serving the poor in parishes, schools, prisons, among the youth and with those on the streets. The Oblates preach Christ to the poor and the most abandoned and have served them in Australia for more than 100 years.